(1) The Maypole’s Revolutionary Heritage: Seems like I’m always reading May Day pieces that carefully distinguish May Day the spring festival with maypoles, etc., from May Day the international workers’ day, or May Day as labor day vs. Labor Day in September. But this piece in Counterpunch by Bernard Marszalek delightfully celebrates the revolutionary heritage of the maypole itself. (2) Why Aren’t North American Workers More Militant? Paul Jay of the Real News Network interviews Bill Fletcher, Jr. and Sam Ginden, here. 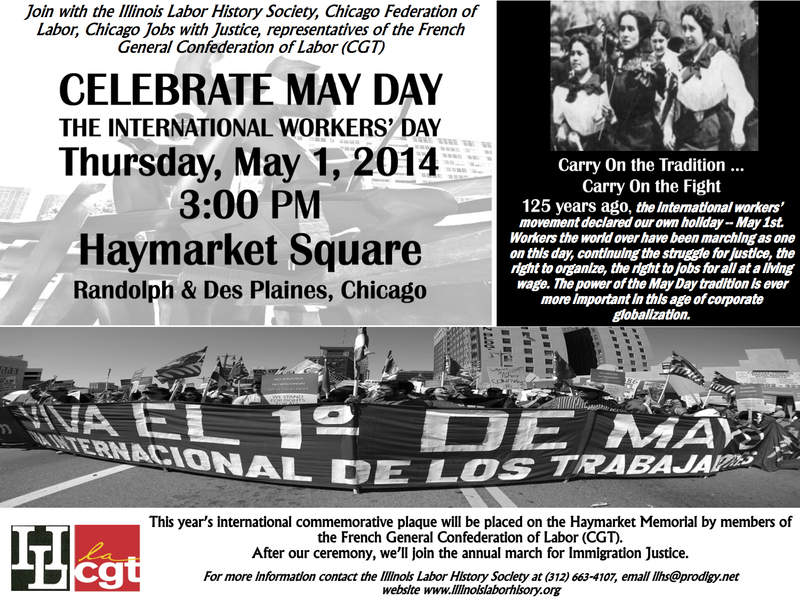 (3) Ron Baiman’s May Day Manifesto: From 2012, but Ron (from Chicago Political Economy Group) sent it around again this year: pdf of it here. (4) The Era of Financialization, Pts. 3 and 4: Not directly May Day-related, but we just posted the third and final parts of our interview with Costas Lapavitsas about the Era of Financialization, here. That’s it for now–Happy May Day!